There has been brutal damage to homes, schools, medical clinics, roads and bridges. An estimated 116,000 households have lost their crops and livestock. The official death toll is 200 but still there are over a hundred people missing. 200,000 Malawians have been displaced. In Nsanje district alone, 79 people are confirmed dead with another 153 people still missing. Helicopters are flying resources daily into the areas that are still inaccessible by boat or road. 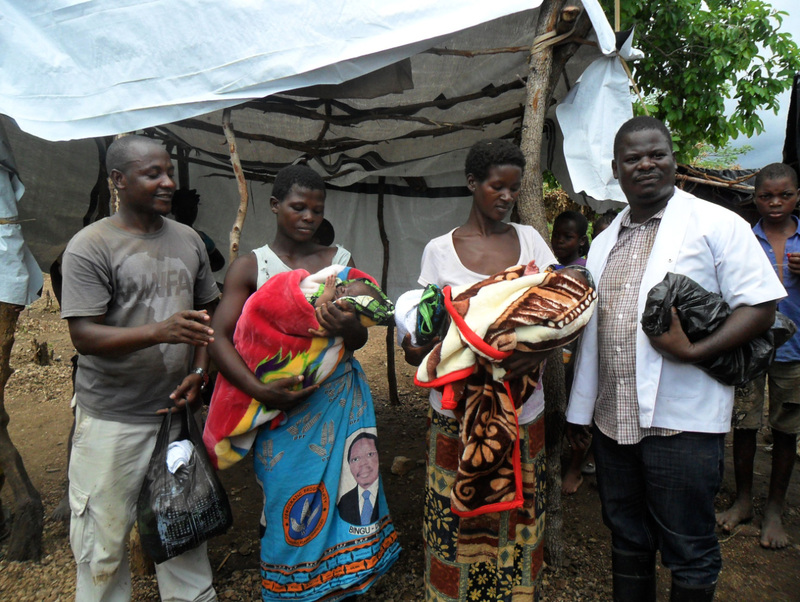 When I learned of the flood, I spoke on the phone with our Malawi staff member Edwin White. I was very thrilled to discover that Edwin and our associate Isaac Chikonde were already helping people in the heart of the devastation at a refugee camp for over 4,000 in Osiyana, east of Bangula near the confluence of the Ruo and Shire Rivers. Isaac is the one on the left loading the heavy crate of emergency supplies into a helicopter. There are at least five villages stranded by the floods. It is still the rainy season and was raining “badly” when I called. All the farms and entire villages in the area were under water. One village chief told Edwin that he and his fellow villagers had climbed up into trees for four days. The chief saw people fall out of the trees from hunger and be swept away. He estimated that at least 20 died but the exact number cannot be known. 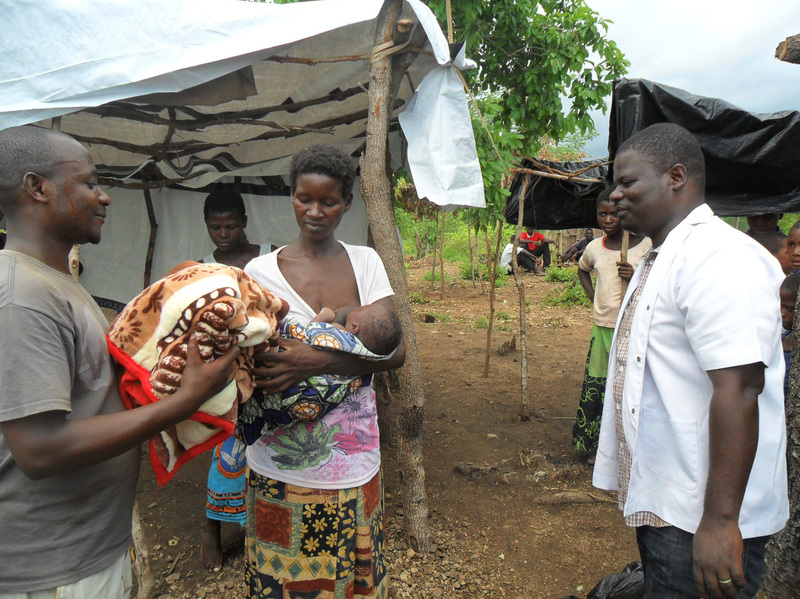 Two women gave birth during the height of the rains (one in a tree and the other in a church). Isaac, as a medical professional, has been helping them. They also supplied the ladies with much needed blankets. Edwin on the left and Isaac on the right give comfort and a warm blanket to a mother and her new child (born in a tree) during the terror of the flood. 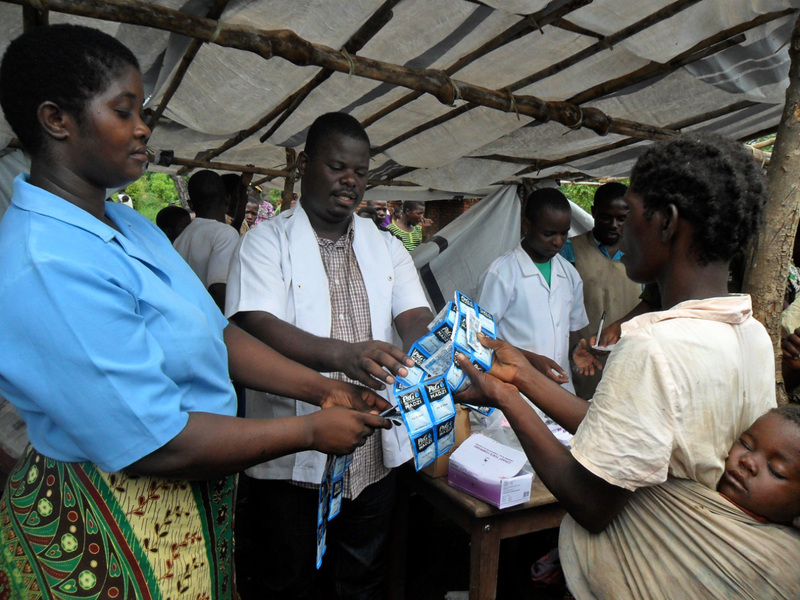 The next day, at a health clinic, Isaac and Edwin distributed 8,500 packets of Waterguard powder to local residents and instructed them on the proper use for water treatment. Presently, they are collecting rain run-off from tarps and tents for drinking water. The water treatment kits are not nearly enough for the amount of people left homeless by the cyclone. Edwin will return to Blantyre and purchase a greater supply of Waterguard. There are none available in Nsanje. Isaac distributes water treatment packets, purchased by donations to WWFA, to our friends stranded in at the Osiyana refugee camp. 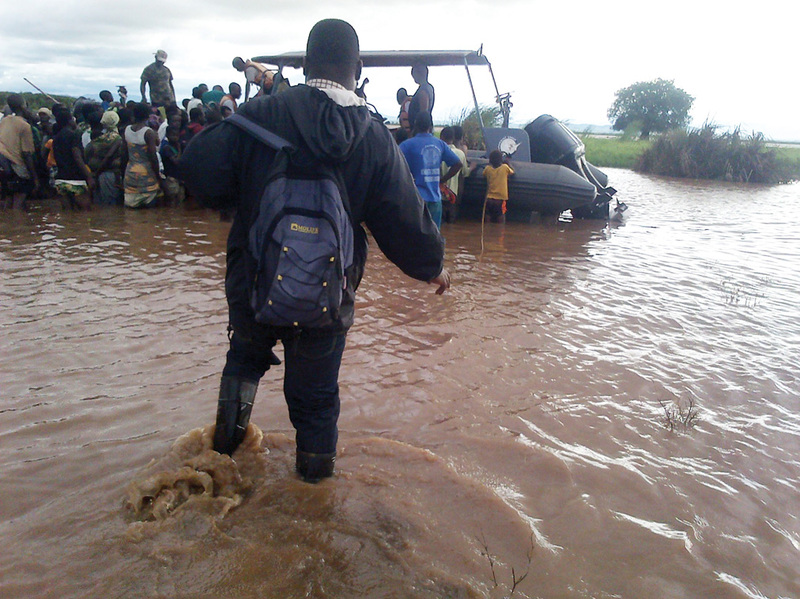 The Osiyana refugee camp is in the Makhanga area completely submerged by 2-3 meters of violent flooding. The District Environmental health officer for Nsanje told Isaac that people are literally drinking dirty water from the river because their water well is broken. 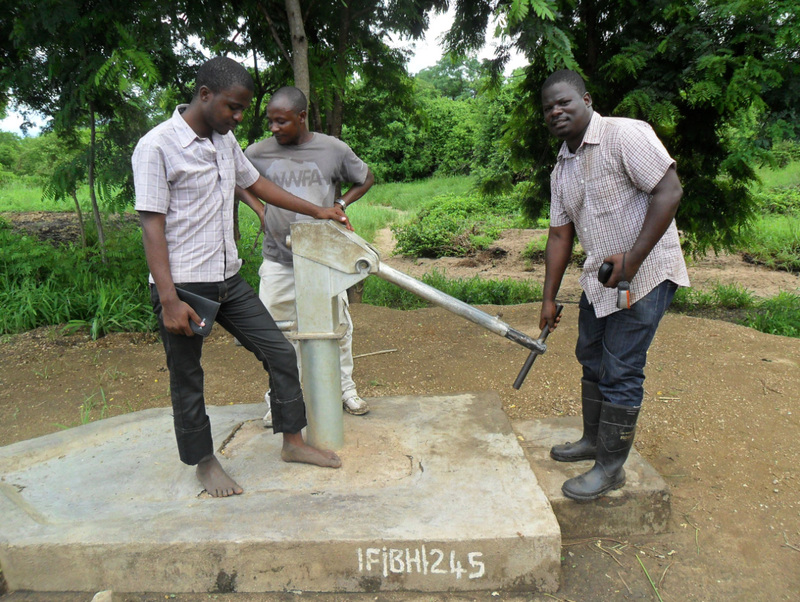 Edwin in the back and Isaac on the right inspect a broken borehole with a local leader. Edwin has taken with him 25kgs of chlorine to sanitize and tools to repair any boreholes he might find in the area. Unfortunately, there is no borehole near the refugee camp. WWFA received a request for emergency aid from the Honorable Esther Mcheka Chilenje MP, First Deputy Speaker of Malawi National Assembly. 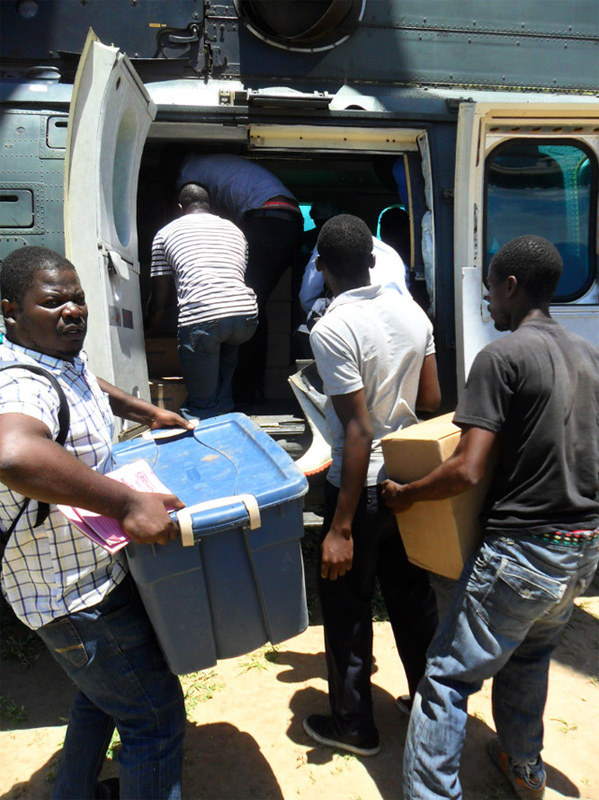 The immediate need is for: Chlorine, Water Treatment kits, mosquito nets, and various medical supplies. I pledged our commitment at WWFA to continue to help the people of Malawi through this catastrophe so they can regain hope for a better future. Your donations are greatly needed and much appreciated!